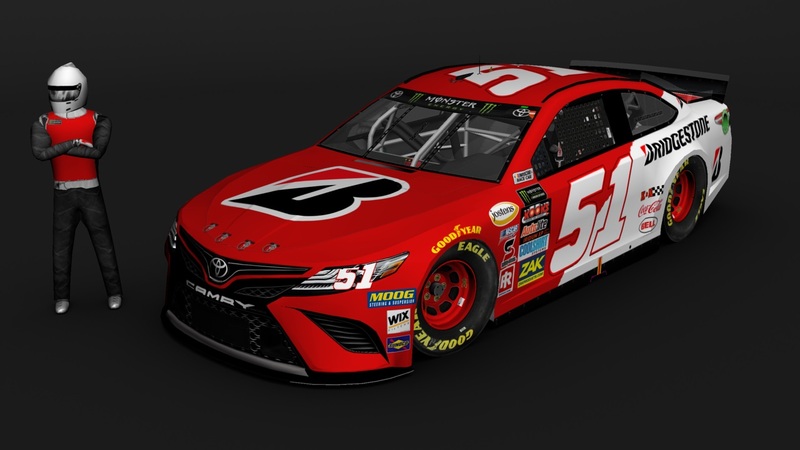 Fictional Bridgestone's Paint Scheme, on a Toyota's template. This will be, probably, the last work for this mod. Credits: Splash And Go for template, SRD for contingencies, The Mod Squad for render, Google for logos and numbers. Enjoy! Thank you so much! You're very gentle! I will contact You very soon! I need always suggestions for improving! That's just not right. You aren't worse. You only learn by doing. Everybody has to start somewhere. And it doesn't matter on which mod you paint. I started on the BR15Mod which was the most actual mod at this time and I didn't chenged. Just paint what you want for any mod you want and don't think about what others will think about. You do it on you free time like anyone else. The MENC19 Mod isn't restricted for Pro painter ;). orientation for number sizes for cup cars on a 2048 template: side 320x230, roof: 350x400 back and front 45x45 (onder the lights on the passenger side. Just wondering: why do you stop painting for this mod? Yeah. I think that the nose numbers are too big.... thanks man.